The National Insurance Company is one of the oldest and most renowned general insurance Company in India. The company was founded on 6th December 1906, since then the company has been growing positively on the daily basis. Talking about the nationalization , the company got nationalized in 1972, i.e. 66 years after its inception. The National Insurance Company aims to keep things simple so that they can attract the trust of more potential customers. The company follows a tagline which is "Thoda Simple Socho" which goes well with its thinking. The National Insurance Company was integrated with around 11 indigenous companies and 21 overseas establishments to form National Insurance Company Ltd. National Insurance Company Limited is also one of the 4 subsidiaries of the General Insurance Corporation of India which is completely owned by the government. Talking about the achievements, the National Insurance India is the only state-owned general insurance company that has its headquarteres in Kolkata. Being the oldest member of the insurance Industry, National Insurance Company is the pioneer of several different milestones. It is also referred to the first company which introduced a range of customized insurance products for the rural as well as urban society. The company caters into almost every section of the general insurance company. The launch of the Techno Marketing Project Cells is also one of the extensions of the trend of future customized products. The Techno Marketing Deprtment was founded to insure huge projects and to offer the agrarian buyer with the Farmers Package Policy to meet their requirements. Moving forward, National Insurance Company Limited also has certain strategic alliances in India. National Insurance has joined hands with renowned companies of India that include M/s Maruti which is the biggest automobile manufacturing company, Hero Motor Corp and many more. National Insurance company that was founded on 6th December 1906 offer effective health insurance policies. The company offers great and effective products at your doorstep. There is a wide variety of health insurance products through which you will be able to pick the right one for yourself, easily. NIC has a strength of more than 15,000 skilled human assets and 1340 offices, including 373 Business Centers pan India. The National Insurance Company also has operations in Nepal. There is no doubt in saying that the health insurance is the best way to live your life securely and tension free. In case of any medical emergencies an effective health insurance plan will be there to support you financially so that you can focus more on the treatment. There are several National Health insurance plans that the company offers to its customers that can meet their daily needs. An effective National health insurance policy offered by the company will help you in getting quality treatment easily across a number of hospitals. With a helpful health insurance plan you will be able to cover yourself and your family as well. The National health insurance plans come at affordable prices so that everybody can check and select a one as per their needs and requirements. You can cover yourself whenever you want by paying a fixed amount in the form of premium. Choosing the best plan that goes well with your needs is completely your choice and the NIC's long list of health insurance products offer better options at great prices. The NIC is responsible for bringing in flexible yet useful general insurance products, tailoring them to meet the needs of the customers. The company through its National health insurance products aims to be the first insurance company that explores this idea of maximizing penetration with the help of partnerships of strategic importance. National Insurance company has about 1,340 offices in all over India. Its customers include both retail as well as large industrial customers. The National Insurance company has made social and economic inclusion as one of its priorities. It aims to extend to extend the reach of the general insurance industry which is not greatly exposed to insurance as a product or form of financial discipline. National Insurance Company accomplishes this with the help of the great technology that helps in crossing physical boundaries and reach people in need of reasonable health care. As discussed above, National health insurance offers a wide variety of health Insurance products under its umbrella. Here, we take a look at some of the best health insurance plan it offers from which you can choose easily. If you are not aware of the helpful features that this plan offer, then you must have a look at it. The National Mediclaim Policy covers hospitalization expenses incurred for treatment of illness/disease or injury contracted/sustained by the insured persons during the policy period. The cost of this plan is not too high, you can easily get the desired coverage whenever you need it. 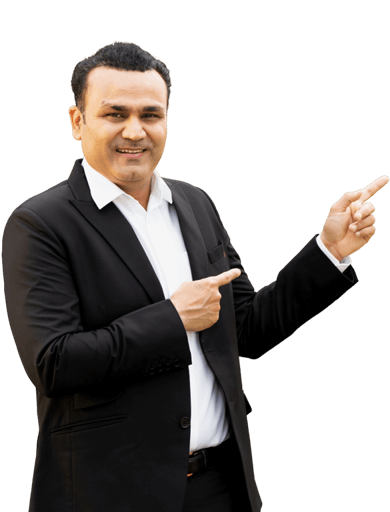 Sum insured range is between `50,000 and 5 lakhs, in multiples of `25,000/-. 8 years to 65 years. Children between 3 months and 18 years (at least one parent has to be covered under this plan). (sons above 18 years are considered dependents till the age of 25, if still a student; daughters are considered dependents until marriage). No Limits Rs.50,000 to Rs.5 lakhs (in increments of Rs.25,000). (Family includes the proposer, his/her spouse and dependent children and dependent parents) Not required for persons up to 50 years. Required for persons over 50 years (not applicable to those switching over from another general/health insurer). Reimbursement of screening costs - 50% when proposer qualifies as a client. There are several situations when a person has to go abroad, maybe because of a vacation or for studies. But in both cases, it is really a good idea to buy an insurance plan. The benefits of this plan is that any unwanted situation will not be able to spoil your trip. This plan provides coverage on overseas trips that take place because of studies or business. Claims are payable in foreign currency to Doctors / Hospitals abroad, directly by the service provider in most cases. In case, cashless service is not available insured can claim reimbursement. - First US$ 100 of all claims is to be borne by the traveller. - In case of travellers unable to submit the above Medical reports cover stands restricted to USD 10,000. Entry age 18 years to 60 years. Children between 3 months and 25 years 65 years Sum Assured Rs.2 lakhs to Rs.5 lakhs (in increments of Rs.50,000). Payout for each illness is subject to a limit of 50% of the chosen sum assured Family Floater. (Family includes the proposer, his/her spouse and dependent children). Up to 15 days of Pre-hospitalisation expenses. Up to 30 days of post-hospitalisation expenses. One more floater plan under National health insurance umbrella. Under the National Parivar Mediclaim Plus, the features are same as the Parivar mediclaim but this policy allows you to insure your loved ones with a great sum assured amount so that they can get complete cover when they need it. Treatment under Allopathy, Ayurveda ,Homeopathy are covered upto full sum insured. Pre (30 days) and Post (60 days) Hospitalisation covered. Overseas Mediclaim Policy is a package policy that provides coverage for travel emergencies when someone is traveling abroad. This plan is listed for the foreign travel. Under this, there are several benefits that will surely make you feel safe and secure. With the effective features of the health insurance policy, you will be able to spend much time on getting quality treatment and worry less about its cost. One more effective health insurance policy by the company under its portfolio of National health insurance plans. It is basically a comprehensive insurance policy that offers coverage beyond the traditional policies. It offers protection against high health care costs and makes health care and related services easy and reachable. Treatment - Policy covers Allopathy, Ayurveda and Homeopathy treatment. Prosthetics and other devices or equipment if implanted internally during a surgical procedure. Parivar Mediclaim policy provides protection to families against the financial burden of treatment in hospitals for illness/ disease/ accidental injury. It is a floater policy wherein the entire family consisting of self, spouse & two dependent children are covered under a single floater sum insured. Expenses incurred on account of anaesthesia, blood, oxygen, operation theatre charges, surgical appliances, medicines and drugs, diagnostic material, X-ray, dialysis, chemotherapy, radiotherapy, cost of pacemaker, artificial limbs & cost of organs and similar expenses. The National Insurance company on-line paymet option has made the lives of the policyholders lot more simpler. They no longer have to go to the company office for the payment of premiums or renewal. Keeping the wishes of its clients throughout the country in mind, the National Insurance company online payment option has been incorporated. Most customers have found National Insurance company online mode user-friendly for a number of reasons. Now you can buy teh chosen policy online also. The insurance cover can be between Rs.1 lakh to Rs.5 lakhs. Individual and Parivar Mediclaim policies are available online. Online premium payment can be made via the NICL portal using net banking, credit card or debit card. Any purchaser of National nsurance is eligible for making payment online. Furthermore, all National insurance on-line policies include online recharge option. And, most importantly, policyholders can choose from special National Insurance on-line payment modes keeping in with their comfort. Purchasing National Insurance policies online has become popular amongst the buyers and the feature of online renewal offered by National Insurance company has added to the benefits. 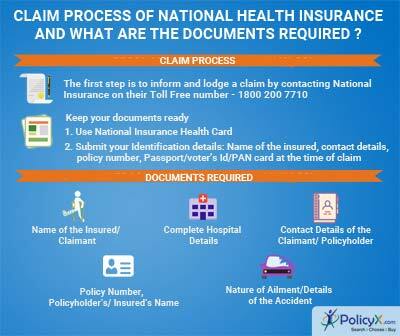 How to Take a National Health Insurance Policy? To buy an effective health insurance plan by National Insurance Company, you must visit the nearest branch office, take the form from an authorised agent, fill the form and submit it to the agent. A surveyor will be appointed to estimate the risk factor of your health condition. Policy documents will be issued directly or through registered post. You can buy a few policy onlien as well. To renew National Health Insurance Mediclaim Policy, visit the company website, submit your policy number and email ID, click on 'Proceed', enter your policy details, contact details, and confirm the provided details. It will displayed on the screen along with premium amount to be paid. It will provide the needful coverage agaisnt treatment for sickness, illness or accident provided in the listed National Insurance Network Hospital. After getting the approval, medical bills are directly paid by the National Insurance to the hospital. Under the same, the insured have to clear all the meical bills on their own and later the insurance company will reimburse teh same.nIt is necessry to provide all medical expenses bill to get the reimbursement. In case of a reimbursement process, it is important to get the treatment in the National Insurance Authorized Hospital. The treatment can be carried out in any registered hospital. 1. Can any policy by National Insurance cover for the whole family? Yes. Family members can be covered for up to a maximum of the sum assured to policy owner. 2. How much insurance does a person need? It completely depends upon on a number of factors like age, income, lifestyle etc. This insurance from National Health is for a maximum of Rs.5 lakhs. 3. What is meant by portability? Portability refers to transfer of policy from one insurance provider to another along with credit gained and family cover, if applicable. 4. What is a waiver? The time period for furnishing claim related proof may be waived in case the insurance company deems necessary. 5. Is there tax benefit on Health Insurance schemes? Yes. Tax exemption is available under section 80D of the Income Tax Act.